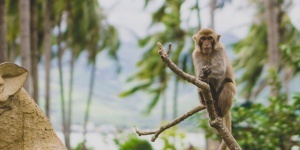 Taxi-Transfer.biz › Thailand › How you can get from Bangkok to Ko Samui? Let’s imagine that you arrived to Suvarnabhumi Airport, capital of Thailand. 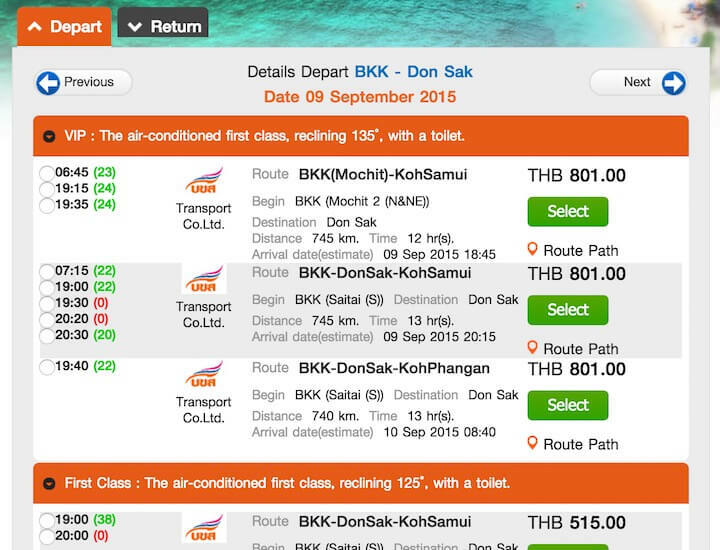 Now you need to get to Ko Samui. How can you do this? 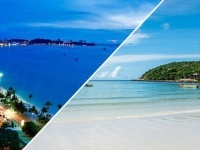 Where can you book transfer from Bangkok to Ko Samui? You will find all the answers in this article. The distance between Bangkok and Ko Samui is about 70 kilometres. It will take you about two hours or maybe little longer. It depends on the way that you like most of all. The price depends on the kind of transfer and comfort, which needs more money. The fastest way to get to Ko Samui is airplane. 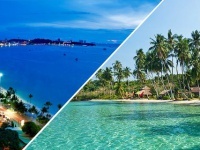 You can get to the island from Suvarnabhumi Airport, using the service of aircompanies Bangkok Airways and Thai Airways. The price will be more than one hundred dollars, about $110-130. If you book ticket beforehand, the price will be low. 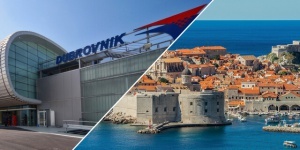 Moreover, on the sites of air companies, you can find out about discounts and special prices for tourists. Planes from Bangkok fly regularly and it takes about half an hour. 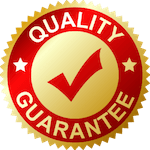 If you want to choose the other variant, you will need transfer by catamaran. If you want to get to Surat Thani, you need to get from the airport to Hualamphong Train Station. You can choose cab or underground to get there. 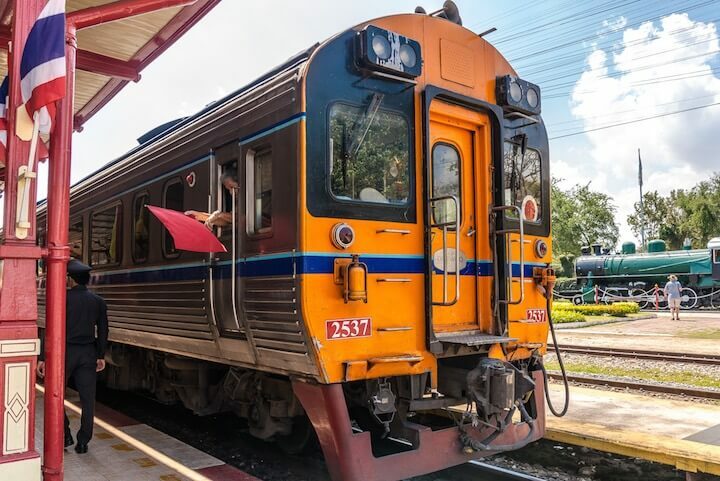 Trip by train takes about eight hours (to Chumphon) or eleven (to Surat Thani) and the price will be about 400-1200 baht and it depends on the class of train and level of comfort. It would be better to go by night train, because on arrival to Surat Thani you can depart to Donsak. You should go there by bus (bus ticket costs about 200 baht) or cab. You can arrive to Samui by Raja’s Ferry ferry boat. All of these companies have their own docks. You can have a seat in the Southern Bus Terminal (Sai Tai Mai). It’s very easy to get there, because all kinds of land transport or underground go there. 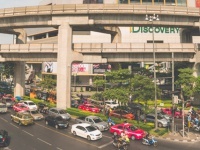 The Southern Bus Terminal (Sai Tai Mai) is situated on opposite side of Suvarnabhumi Airport so trip by cab will cost expensive, about 300 baht. You also can choose North bus station Mo Chit. 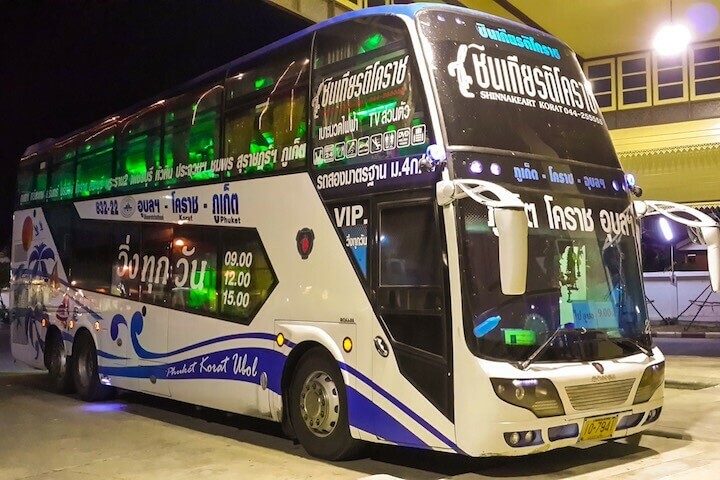 The trip by bus from Donsak to Chumphon takes about 13 hours. You can buy bus tickets at the station. It would be better to buy joint ticket that includes transfer by ferry boat. You can go by ferry boat using services Raja Ferry and Seatran Ferry. Both of them have their docks. This transfer takes about half and hour. You can book tickets beforehand on this website. The main advantage of this kind pf transfer is lack of dependence of schedules of other kind of transport. 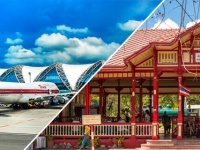 It will take you about 9 hours to get from the airport to Donsak by bus and transfer by ferry boat will cost about 470 per car with driver and 150 baht per each passenger. The price of trip by cab will cost about 9000 baht.